Two-time Tony nominee Carolee Carmello began performances of her new musical Scandalous on October 13 at Broadway's Neil Simon Theatre, and Broadway.com has your very first peek at the almighty spectacle. 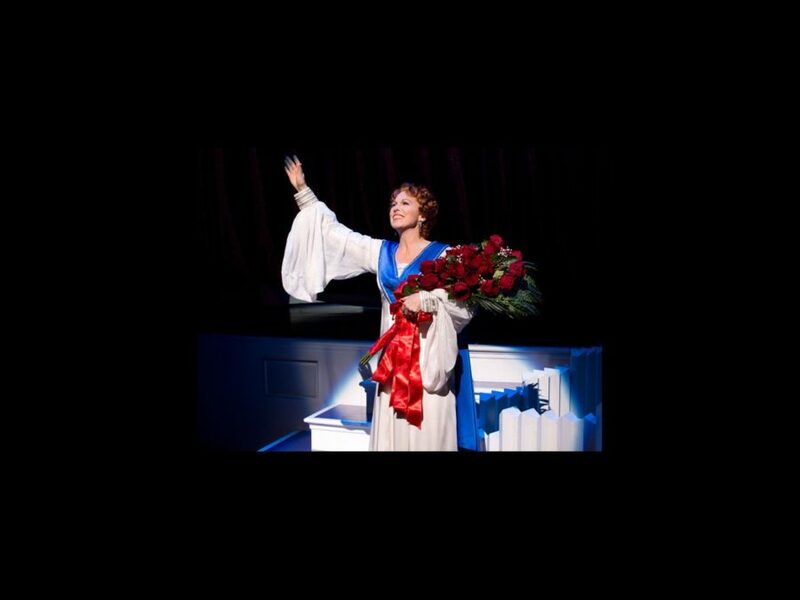 With a book and lyrics by Kathie Lee Gifford and music by David Pomeranz and David Friedman, the tuner centers on real-life evangelist and trailblazing media superstar Aimee Semple McPherson (Carmello) as her passion for saving souls is matched by her passion for making headlines. Check out our king-size gallery of Jeremy Daniel's production shots of this larger-than-life musical, which opens officially on November 15.